Electronic and Electrical Servicing - Level 3 follows on from the Level 2 book and covers the more advanced electronics and electrical principles required by service engineers servicing home entertainment equipment such as TVs, CD and DVD machines, as well as commercial equipment including PCs.All the core units of the Level 3 Progression Award in Electrical and Electronics Servicing (Consumer/Commercial Electronics) from City & Guilds (C&G 6958) are covered. 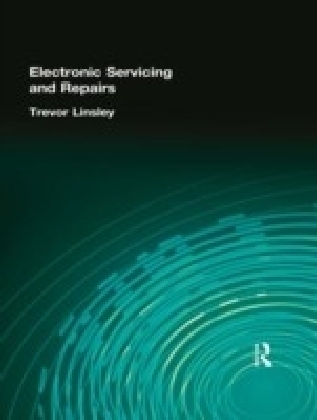 The book also offers a fully up-to-date course text for the City & Guilds 1687 NVQ at Level 3.The book contains numerous worked examples to help students grasp the principles. 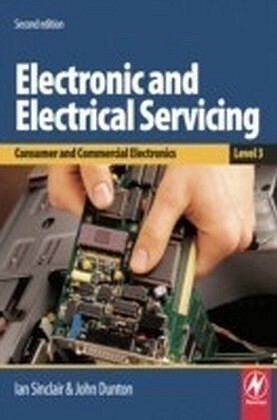 Each chapter ends with review questions, for which answers are provided at the end of the book, so that students can check their learning.Units covered:Unit 1 - Electronic principlesUnit 2 - Test and measurementUnit 3 - Analogue electronicsUnit 4 - Digital electronicsIan Sinclair has been an author of market-leading books for electronic servicing courses for over 20 years, helping many thousands of students through their college course and NVQs into successful careers. Now with a new co-author, John Dunton, the new edition has been brought fully up-to-date to reflect the most recent technical advances and developments within the service engineering industry, in particular with regard to television and PC servicing and technology.Level 2 book:Electronic and Electrical Servicing, ISBN 978-0-7506-6988-7, covers the 5 core units at Level 2, plus the option units Radio and television systems technology (Unit 6) and PC technology (Unit 8).